I don't know how else to put that and I'm having a very hard time finding any information on what I'm experiencing. I'm sure it's something relatively common and should be addressed more by the design/modeling side. I created an object in blender. Let's say its a hollow cylindrical/coned cap with a T-handle. When I first printed it, the underside of the T-handle was present in the model (so, a solid object in Blender). However, there is an issue where I need to cut that away and take the interior of the cone to the top of the inside of the T-handle. So, when I cut away the part of the T-handle that intersects the cone (and makes exactly the object I want), I lose all the fill/support in the T-Handle and it just prints the exterior shell of the handle which is VERY weak/brittle. I need the fill. Is there some black-magic design trickery to do in Blender to build into the STL so that Cura will see that there is fill in the handle? Was my approach the culprit? I'm guessing my process is moderately to blame as I'm a complete novice trudging my way through Blender one semi-relevant YouTube video at a time. Can anything be done in NetFabb or Cura after the fact to FORCE fill in these voids? This is hard to envision, can you post a picture? My guess is during the cutting operation you're creating a non-closed mesh which causes slicing issues. I know. And I think your interpretation is accurate. I had a solid cylinder that was the T-handle, I then cut away the part that intersected the cone. Sorry for the massive pics, maybe the forum engine will resize them into thumbnails. In any case, as I said, I think what you're saying is accurate. Where I'm at, as an absolute amateur designer (I just touched Blender for the first time last week) is, I'm sure there's a "trick" or the "right-way" to go about this. 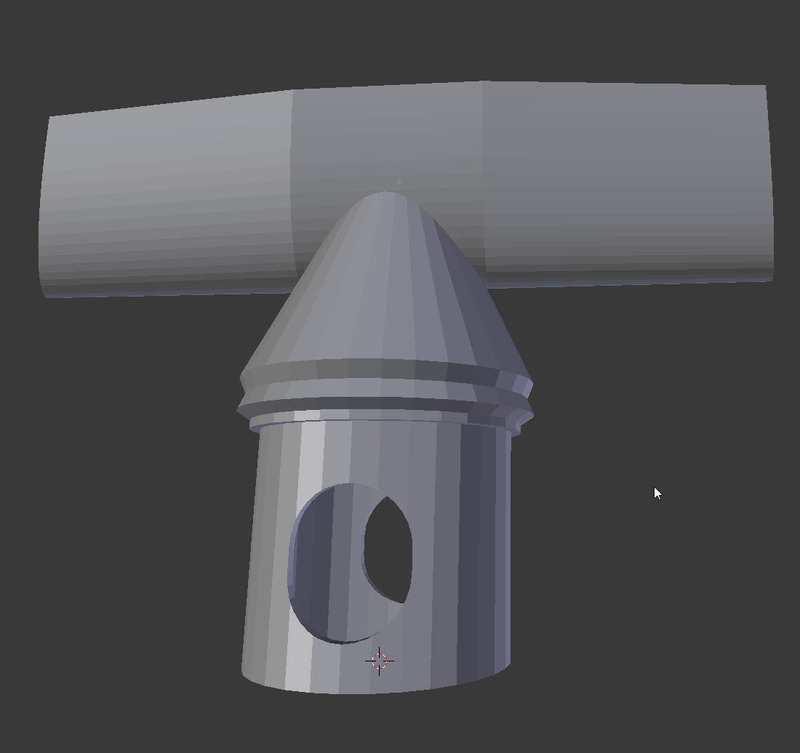 I need the handle to be treated as a solid mesh but at the same time, need the underside (inside the cap) to be cut away. 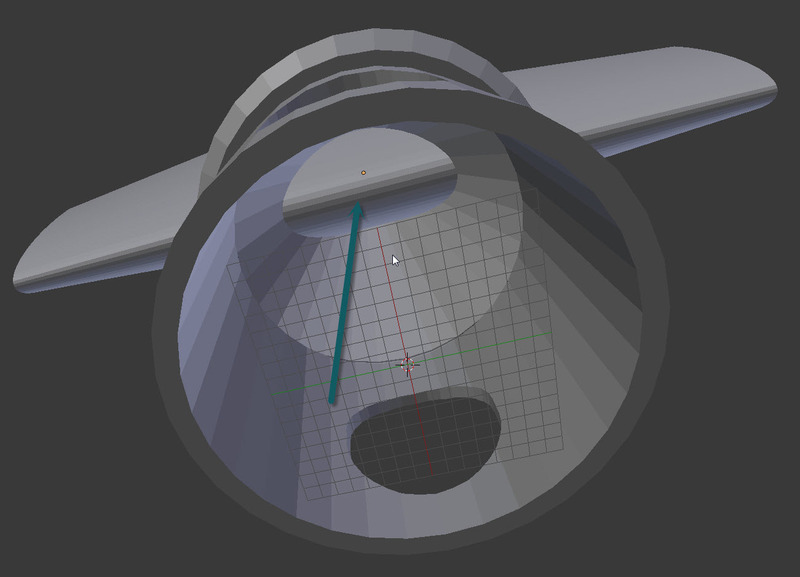 OR, is there something post-design where i can "fake" it being a solid mesh and make the slicing engine add the fill? I have both Cura and NetFabb. Here's an image of the final product with the intersection of the handle and cone cut away. So where the problem lies is cutting a wedge out of the handle portion so that it gives you a clean interior cone inside the bottom part yes? What I would do is create a cone shape (exactly the same as your interior shape inside your cylinder. Expand it slightly (so it's now inbetween the walls of your cylinder. 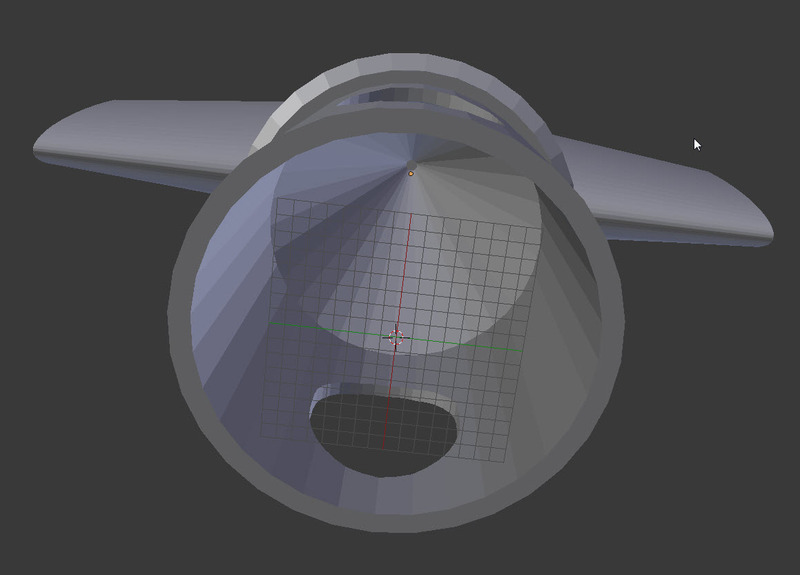 then Boolean (subtract) that shape away from the handle, and then boolean (add) the rest of your cylinder to the handle. That should create a nice continuous watertight surface. Ahh, understood. I think when I exported to STL the objects were independent. So, you're saying if I boolean->union them, provided all surfaces touch, they should then create a single object. And, if I'm following, then the slicer will know where to put fill. And, thanks so much! This new world (3D design/printing) is pretty friggin awesome! And, is there a good keyboard shortcut to do something like this? Can I use the existing cone that has the solidify already applied? I just need to create a new object from the interior surface vertices. At this point, since I don't know all of the 10 billion keyboard shortcuts, it'd be faster for me on my own to just recreate the cone, duplicate it, then solidify one of them. Or, would it be just the same to duplicate the existing solidified cone and shrink it a fraction and use that for boolean->difference. It might be 6 one/half-dozen of the other. In any case, thanks again for the help! This is actually my first model that I've created and printed and it's a pretty good feeling! There's a million and one ways to do it. You can do either option you suggested, it's sometimes faster to just create a new cone and cut it out. If you previously cut out your cone you can use that shape. You could clone your cylinder delete all the interior faces, cap all the outer faces and then boolean from that. The one big rule for boolean though, is that both meshes need to be watertight as well (so all welded verts, no double faces, no interpenetration) or you'll run across lots of boolean errors. Make sure the booleaned surfaces are either inside or outside of each other. If they are exactly ontop of each other (like a cloned object) it'll error. In any case, thanks so much for your direction. I now understand what people mean when they say "watertight" in terms of a mesh/object. From the crux of this conversation, I was able to get everything kosher and that's pretty awesome. Thanks so much! !